Register Log In ECN Forum Forums Non-US Electrical Systems & Trades Earth fuse? In my factory, there is a fuse for the earth connection in each building. 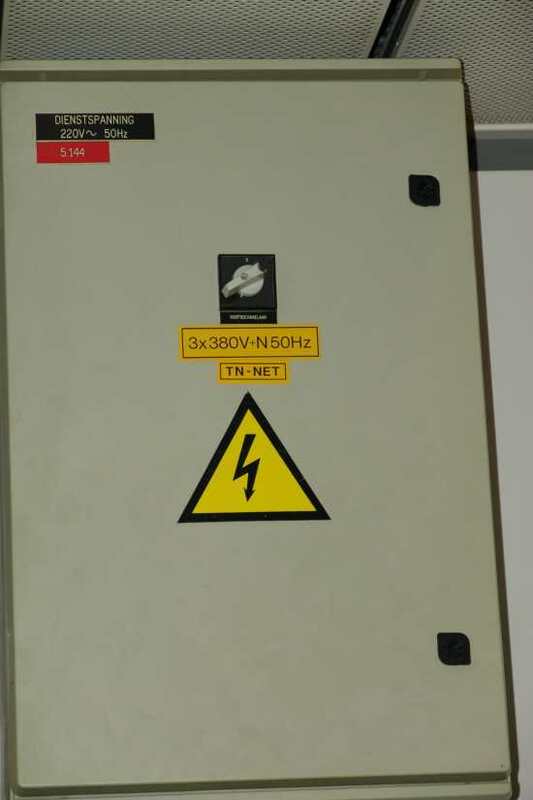 In each significant one, there is a transformeur 15000V -> 400/230. It uses a system TN-NET and there is an earth fuse outside each building that has a supply like it. So, why is the fuse there, and I wonder what happens if it goes? I see we have another Member from Belgium, come to join us. I've never heard of a Distribution system that uses a fuse in it's Earthing conductors before. And personally, I would think, that if the Dist. system was referenced to Earth for safety reasons, this sets a very dangerous precedent indeed!. Should the fuse operate, you effectively lose your earth continuity and therefore any path for Fault currents. Fusing of Earth conductors, over here, (NZ) is a practice that is dis-allowed by Regulation, in fact not even the Neutral is allowed to be fused. I'd be very interested to see what a few of our other European members have to say on this Fused Earth system, is this a European thing?. Just a small point, jooles. Are you sure that these devices aren't Surge Diverters, for Lightning protection?. Could also be a resistance for a high resistance ground, but they are pretty rare. This strikes me as very odd, as a fuse in an earthing conductor is unheard of normally. It sounds as though jooles' system is the standard 230/400V 4-wire wye European system, which as far as I'm aware always has the neutral solidly grounded. I can't quite figure what TN-NET means either. European systems are usually TN-C-S or TT. As the xfmr is right there in the buildings served, I would have thought TN-C-S would be the most likely choice. There should be a camera around the place and I might try to take a photo to show everyone exactly what I mean. Screwed on the wall of each building, outside the transformer room, the earth cable runs in a loop to a pair of white ceramic insulators, and there is a strip of thin metal in the circuit in between them. The earth cables are the very thick ones, I think perhaps 10 or 15 mm. I assume it is a fuse, because I can't think of any other reason for it and in any case. There is also a box outside the transformer room with what I think may be a ground fault detector -- three lamps in a row, always unlit. 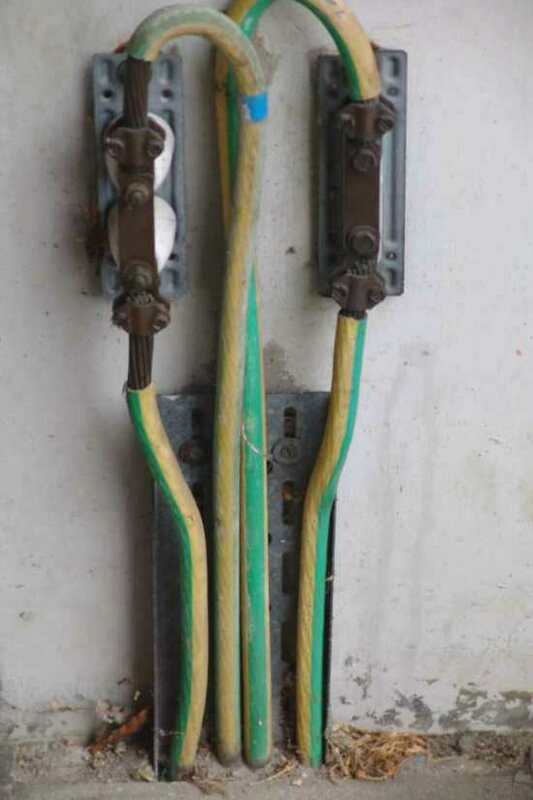 To explain the context, I work at a chemical factory comprising many large buildings, and there are many kms of pipelines on metal gantries connecting the buildings, so I don't know if this unusual earthing system is maybe to do with those. There is definitely nothing like it in other places I have worked. There is a high demand for power and as I say most buildings have their own transformer room. You have found a real headscratcher! I can't think of anything logical. The only thing I could come up with was that the fuse is there to break the bond between lightning arrester and the electric system in the event of a direct lightning strike. This could be an attempt to prevent lightning from wrecking the electric system and meet the requirement for equipotential/mains bonding under normal conditions. It doesn't really make much sense to me. It wouldn't by any chance be a Test Link for the Earthing system would it?. We use such a thing here on power poles to test the transformer earthing, without losing an Earth connection while the testing is being done. The Main Earthing lead is merely swapped over between the two seperate wires, that would run to an electrode or grid system, in the ground. Jooles welcome to ECN, what a starter post, I agree with Mike and all other members if it is a fuse it can only spell danger of sorts. The other thing about fusing an earth wire what fuse rating do you fuse it at? In the event of an earth fault could you accurately predict the path that the current will flow along especially in a large industrial situation with metal pipes and support gantries everywear. Look forward to the pics. The labeling on the switch on that cabinet may be a little too small to read on some monitors with the reduced image size. It says "HOOFDSCHAKELAR", and has the standard European "0" and "1" markings for on and off.